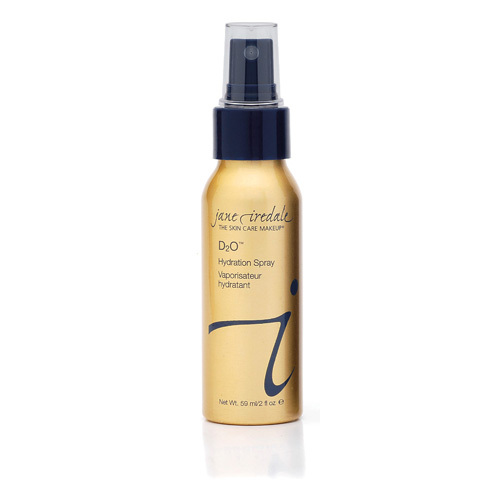 Our D2O Hydration Spray with fragrant Ylang Ylang resists evaporation, so it stays on the skin longer, hydrating and plumping up the skins surface and giving the face a more youthful appearance. D2O contains seaweed extracts to help reduce sebaceous hyper-secretion and regulate the pH of the skin. Botanical extracts of Chamomile and Myrrh act to soothe and refresh irritated skin. Extracts of Olive Leaf, Rosemary Leaf and Grape Seed Extract are anti-oxidant and anti-bacterial. And Ylang Ylang doesnt just have a heavenly scent it also has a balancing action on the secretion of sebum, is an anti-depressant, a sedative and a supposed aphrodisiac!